Expand Records presents brand new freebie from labels residents Shockillaz. Grab your FREE copy today and don't forget to share it to your friends. For alternative D/L link click 'Buy'. Many thanks for this D/L mate ;)!!! 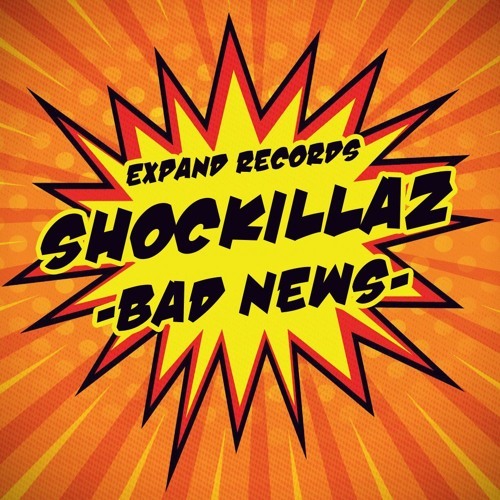 Download Shockillaz - Bad News (Original Mix) [Expand Records] - FREE D/L!!! Buy Shockillaz - Bad News (Original Mix) [Expand Records] - FREE D/L!!! Users who like Shockillaz - Bad News (Original Mix) [Expand Records] - FREE D/L!!! Users who reposted Shockillaz - Bad News (Original Mix) [Expand Records] - FREE D/L!!! Playlists containing Shockillaz - Bad News (Original Mix) [Expand Records] - FREE D/L!!! More tracks like Shockillaz - Bad News (Original Mix) [Expand Records] - FREE D/L!! !